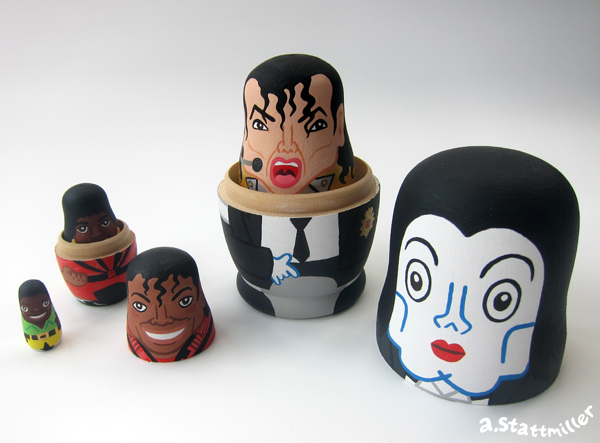 So I've been kinda hooked on painting these nesting dolls lately. This time I paid tribute to the King of Pop himeself. 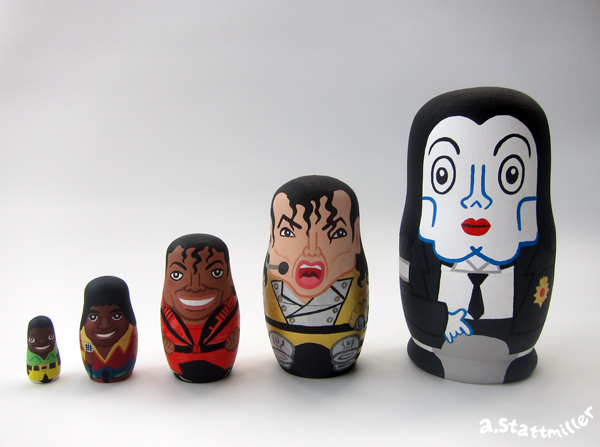 The smallest piece is Michael as a young tike, from the Jackson 5 days. Following that is Michael as a teenager, then Thriller Michael in the red leather suit. Then comes Micheal in the gold suit from the History Tour. And last but not least is the white Michael we'll all miss. Now I just have to somehow get these dolls to do the moon walk and my job is done.